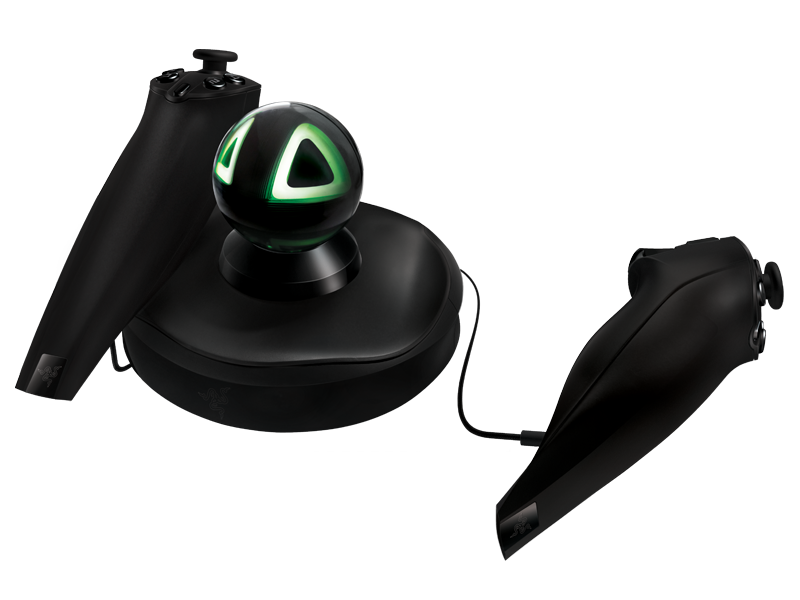 Just got hold of a Razer Hydra, a 3D motion controller system aimed at gamers. There’s a base station with a glowing green ball on the top that needs to sit directly in front of you, and two handheld controllers with buttons and joysticks on them. They constantly feed back their orientation and position to the computer, so you can wave them in the air or twist and turn them, and objects on the screen follow along. I’m not into them as games controllers (prefer the ole mouse and WASD meself) but with a bit of hacking and help I’m hoping to use them as motion controllers for my graphics work. Record my motions as I manipulate the controller and apply them to, say, a character’s head on screen. Quick and expressive way to animate secondary characters in animations. Nothing new, but this is dirt cheap – £80! – so well worth a punt, and not the end of the world if I can’t get it working. The base station is way too inconvenient (and has too many wires attached) to be sat there in the middle of your desk all day. That’s precious real estate, and I’ve got a system for my various keyboards where I can slide ’em in and out under my monitor stand, and that round thing just doesn’t fit. Damn thing is too tall, though,10cm-ish, and I’d keep knocking it with my knees. So let’s void its warranty. 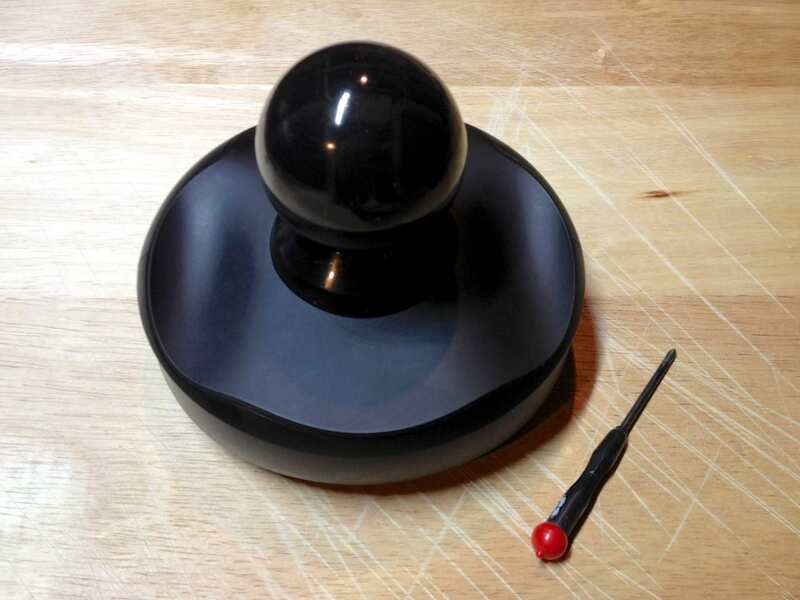 Even knocking a few centimetres off would help; I know the coils that let it do its magic are housed in the black ball on the top, and I’m hoping we can get that off and mount it to the side of whatever’s in the bottom section. Slim the whole thing down. Ahh yes, the old hide-the-screws-under-the-rubber-feet thing. It’s that W and A that drive me nuts. Every episode I sit waiting for the delightfully brief title sting, then 30 seconds later I want to throw something at the screen. And, as you can see, they sometimes get it right. The Mentalist itself is pretty good telly – well, it was; it’s gone off the boil a bit lately – early on there were lots of cleverly thought out gags and clues for the protagonist to riff on. Also see 8 simple kerning tips for some useful tricks. I like the upside-down one best – though squinting can often blur the words enough for you to judge the spacing properly.